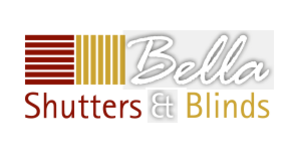 Bella Windows have been established for over 25 years in Arnold, Nottingham. We specialise in the manufacture & fitting of conservatories, windows, doors, glazing & household maintenance, house extensions, new build houses & general construction work. We have been members of ‘The Guild of Master Craftsmen’ & ‘The Federation of Master Builders’ for 25 years. We are also members of Fensa & are Zurich registered house builder/developer. We have our own highly trained & qualified tradesmen who work exclusively for Apollo. We cover all aspects of the construction industry including Groundwork, Plumbing, Tiling, Electrics, Plastering, Brick Laying, scaffolding, Roofing, Joinery, decorating, window installations, conservatories, soffits & fascia’s. We offer a personal & friendly approach to any quotation as we do not employ pushy salesmen or representatives; both the Directors of the company are fully involved with the pricing & surveying process themselves - As they were 25 years ago!. They are highly experienced & respected within the industry. Once we have provided you with a comprehensive written quotation, we do not contact you, the customer again unless you wish to discuss the quotation in more detail. It is not our policy to pester & harass customers into making decisions. If you would like us to provide you or anyone you know with a full no obligation quotation, we will arrange an appointment to suit you All quotation & installation appointments are arranged on an exact day & exact time basis so you, the customer is not left waiting for us to turn up!. Fitting dates & times are always arranged to suite the customers needs & not ours. We do not cut corners on quality or service and our reliability makes us stand out from the crowd.